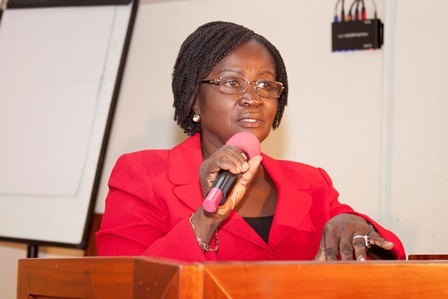 Former Education Minister Professor Jane Naana Opoku Agyemang has challenged government to explain the rationale behind the public universities bill. According to her, government’s reasoning for the bill will enable stakeholders to appreciate it better. The bill has been roundly rejected by lecturers and key stakeholders in the education sector. Many of them have argued it seeks to stifle academic freedom as it grants excessive powers to the President over the management of the university. Speaking to Morning Starr Wednesday, the former Vice Chancellor of the University of Cape Coast said the bill is bad in its current state. “Whether or not we need the Public University Bill depends on our answer to this big question, ” WHY ARE WE DOING THIS? Why are we having this bill? What purpose does it serve? What is the rationale behind this bill? We need answers to all of these questions, Why are we having this bill? What purpose does it serve? What is the rationale behind this bill? We need answers to all of these questions. “The bill is going to affect everyone and so it is important we have it in the body document. We shouldn’t leave that to speculations. I don’t think the council of the university should be voting. They are expected to reach a consensus. Every voice on the council is important,” she told Francis Abban. Meanwhile, The University Teachers Association of Ghana (UTAG) has denied claims that it has made inputs to the controversial public universities bill. The Education Minister Dr. Mathew Opoku Prempeh in defends of the opposition to the bill said the government is open to suggestion hence the decision to invite inputs from relevant stakeholders.